Will I Always Have To Give Up My Tax Refund If I File A St. Louis Bankruptcy? In a St. Louis Chapter 7 bankruptcy, a tax refund becomes an issue if it is large. By large, I mean anything over $2,000. Some people anticipate a refund of four, five, or six thousand per year. If this is the situation, then it depends greatly upon when you actually file your bankruptcy petition. For instance, if you were to file a Missouri Chapter 7 in December, and you anticipated a tax refund of $5,000, then it is going to be very likely that the Trustee will demand that you turnover to him most of that refund (the Trustee will then disperse those funds to the unsecured creditors that are due to be discharged in your case). But if it is March when you file your St. Louis Chapter 7, and you have already spent the tax refund (on necessities, like household expenses, bills, and/or car repairs), then there will be nothing that the Trustee can take from you. So as you can see, it depends greatly on when you file your Chapter 7. Sometimes a tax refund can be an issue, and other times its no issue at all. It is all in the timing of when you file your case. In a St. Louis Chapter 13 bankruptcy, you are involved in a repayment plan over the course of three (3) to five (5) years (during which you will pay back certain creditors, like car loans, tax debts, back child support, and mortgage arrearage). During this period of time (the three to five years), you will be required to turnover a portion of your tax refunds to the Trustee. How much of your refund you will be required to turnover will depend on a number of factors (including how many children you have in your household). Either way, it is very important to seek out the advice of an expert St. Louis bankruptcy attorney. At Brinkman & Alter, LLC, our goal is to make sure that you completely understand what your options are, that all of your questions are answered, and that you are in the best position possible to move forward in life. We have two locations: in the Central West End, at 1 North Taylor, St. Louis 63108; and in the Twin Cities of Festus / Crystal City, at 1000 Truman Blvd (Highway 61/67), Jefferson County, MO 63019. 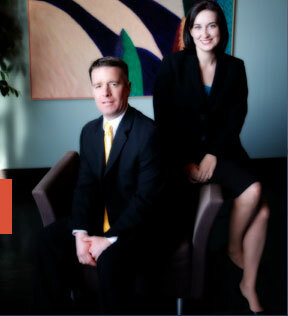 We offer a free initial consultation to discuss your legal issues. So contact us today to learn more!! !